JNTUH Postponement of University Exams Scheduled on 21-08-2015 (Friday) FN/AN exams of MBA MCA and Pharm.D are postponed – Rescheduled, more details available below. 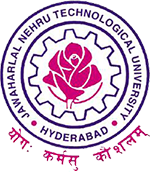 Sub:- JNTUH – Examination Branch– postponement of University Exams Scheduled on 21-08-2015 (Friday) – Rescheduled -reg. This is to inform that the University Examinations scheduled on 21-08-2015(Friday) FN/AN exams of MBA MCA and Pharm.D are postponed, and the Rescheduled dates table given below. Hence it is requested to intimate the same to all the concerned students immediately. For More Details Visit JNTUH Official Website Or College Notice Board. sir when you will release Jntuk pharmd 3rd year 2015-2016 calendar ? ?